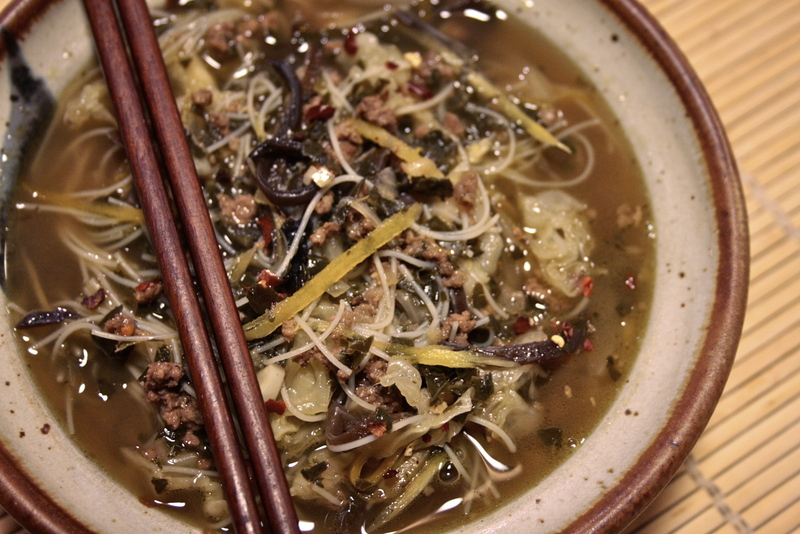 simple sichuan noodle soup | eating with S.O.L.E. along with a good 1-2 inches of freshly ground ginger. a splash each: soy sauce, fish sauce and rice vinegar. If I am serving a noodle dish I so often cut all my veggies long and thin to create easy mouthfuls, and a picture perfect plate.